Have a question about our solar power products, installation services or a general inquiry about our company? You can contact Energy Matters friendly, expert sales team via the phone or by completing the form below. Energy Matters has professional, accredited solar installation coverage throughout most of Australia. 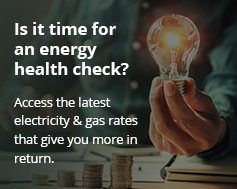 Wherever you are, Energy Matters is only an email or the cost of a local phone call away! Monday – Friday 9.00am – 5.30pm Eastern Time. For sales enquiries please use the form at the bottom of this page. For technical support, please use this form. Brisbane and Queensland is serviced by our local network of Clean Energy Council accredited installers. The Canberra/ACT region is fully serviced by our local network of Clean Energy Council accredited installers. Showroom by appointment only – call 133 SUN (133 786). Adelaide and South Australia is serviced by our local network of Clean Energy Council accredited installers. Hobart, Launceston and the rest of Tasmania is serviced by our local network of Clean Energy Council accredited installers. Perth and Western Australia is serviced by our local network of Clean Energy Council accredited installers. Darwin and the Northern Territory serviced by our local network of Clean Energy Council accredited installers. Regional and rural Australia are fully serviced by our local network of Clean Energy Council accredited installers. Phone: 133 SUN (133 786). If you are in the industry and are a CEC accredited contractor interested in becoming one of our solar power installers then please contact us via our expression of interest form. Note, we only take the best! Friday – 8.30am – 5.30pm PST. For sales enquiries please use the form at the bottom of this page. For quick quote, please use our quote tool.